I like to call out athletes when they do good things, and in the Great Play I do just that. I wish that I had the opportunity in the near future to call out Daniel Snyder as making Great Play, but its not likely. Daniel Snyder thinks he is manning up by saying he will never change the name of Washington D.C.'s NFL team from the Redskins. But he isn't. The manly thing, the gentlemanly, the Great thing to do would be to change the name. I have a few other opinions about team identities which I may have to do Great Play articles about (like cities sharing team colors across all league teams and teams that move not getting to take the history of the team with them) but this one I feel strongly about. Though there is a movement to force a change from local and national leaders, now even lead by members of Congress, it's not a popular opinion among sports fans (79% approve of the current name in a recent ESPN poll) who don't seem to think it's offensive. Let's get this straight first - I don't think that any name related to Native Americans should be changed. If you are named after the local tribe like the Illini for example, I don't have a problem with it. But to those who say that 'redskins' is not offensive in the same way the 'n' word or other racial slurs is, I call shenanigans. As I said before the tribal names I am OK with, I even say leave names like Chiefs and Braves alone - after all aren't those positive things no different than Kings or Knights? 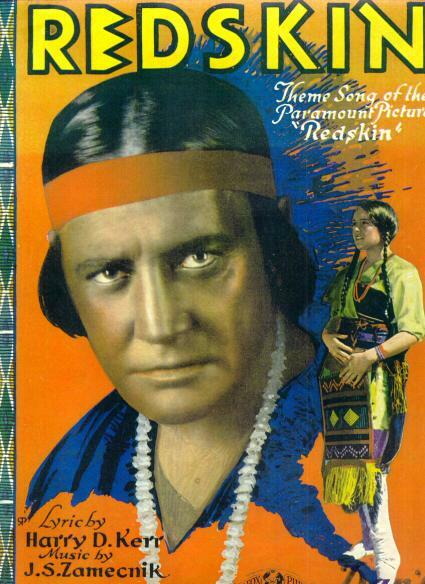 A list of all sports teams with names related to indigenous people can be found here and of all of them only two stand out - the Redmen and the Redskins. Would you be OK with a team called the blackies or the porchmonkeys, the slanteyes or the gooks? What if a cricket league started in America and they called it the Honkies or Rednecks? Sure we might laugh if a white owner had a team named that, but a foreign person - an outsider calling it that because it was here? Being from Milwaukee, I went thought the Marquette University name change from Warriors to Golden Eagles to Gold back to Golden Eagles - now that one I don't get. I get that associating the image of a Native American with the word 'warrior' may have some certain connotations, but it's hardly a slur, and come on - a name change? Why not just a logo/emblem/mascot change? They could have easily chosen a knight to represent the Catholic leanings of the university. And now other than their mascot, you don't even see an eagle anywhere - their logo is just the initials MU. Could or should this be Washington's new team and logo? But Redskins? As the ESPN segment goes - C'mon Man. Those that want the name to stay the same are just being obstinate, resisting just to resist. In fact, there is already a very good suggestion for a new name. 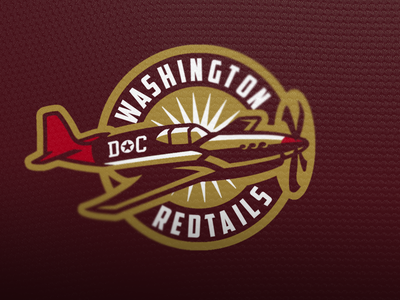 David Grusso, a member of the Washington D.C. Council - came up with the Redtails, in honor of the Tuskegee Airmen, a pioneering group of African-American pilots who served the United States in World War II and whose planes had red tails. Since the team is in Washington D.C., the capital, using the suggestion related to the military and honoring African-Americans would be great. They can keep the colors (as seen in this logo concept) and it's even the same number of syllables for team cheers and chants. I endorse this suggestion. Sure, Snyder could alienate some fans with the move, but fans can be alienated by many things like player signings, draft choices, or other moves and usually come back. But with the right choice, and the right spin and PR, he has the opportunity to do the right thing and come out on top. Just think of all the new team gear sales they would get out of it. Kudos to Bill Simmons of the Grantland sports and pop culture blog for making a Great Play in refusing to call the team by it's name in his Power Poll recently.